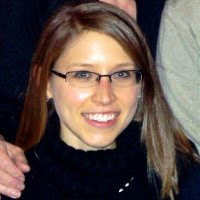 According to the CDC, “health disparities are preventable differences in the burden of disease, injury, violence or opportunities to achieve optimal health that are experienced by socially disadvantaged populations.” Though there may be some natural differences between races and genders when it comes to the presence of disease, disparities are those differences that are caused by variation in access to care, exposure to risk factors, and the social determinants of health. What Are the Most Significant Health Disparities? Although all health disparities are significant, there are some that stand out amongst the rest either because of the extreme difference between races or because they primarily affect children. I chose to use the CDC’s most recent comprehensive data on health disparities which is from 2006. Even though that data is older, I felt it would be the best option as I not only trust the CDC’s data interpretation and survey methods, but also their thoroughness. 2.) Asthma - Although asthma affects adults, the disease more often starts in childhood. Having asthma causes symptoms such as coughing, wheezing and shortness of breath. Asthma, especially uncontrolled asthma, is the most common cause for school absences accounting for an average of 8 days per student per year (Asthmapolis). Acute attacks also often require emergency room visits and can require hospital stays. Although I won’t go into it here, there is a great deal of evidence suggesting that asthma risk increases as the amount of particulate matter increases. Particulate matter in the air tends to be greatest in urban areas and near highways and other busy streets. 3.) Obesity - The obesity epidemic in the US has been getting a lot of news time in the last few years and for good reason. A recent study has shown that the obesity rates in all states except one have leveled off this year which is good news. However, those rates are still very high. Currently, 13 states have adult obesity rates higher than 30% while 41 have adult rates higher than 25% (Obesity Rate Levels Off in Most States). As you can see below, no group studied in the CDC Health Disparities and Inequalities Report was doing well in 2006, but as usual, minorities are doing worse. There are many other startling health disparities in the US and the common pattern is that minorities (especially Black Americans) are doing worse that white Americans. Two more disparities of note are death by cardiovascular disease and stroke as well as the presence of diabetes. How Do Health Disparities Affect Us All? 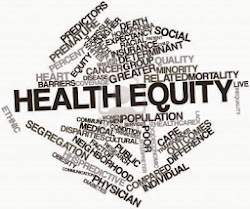 In 2012 the National Urban League published a report on the cost of health disparities (The State of Urban Health: Eliminating Health Disparities to Save Lives and Cut Costs) that found that health disparities cost the US $82.2 billion in direct healthcare costs and lost productivity. Unsurprisingly, Black Americans pay a disproportionate amount of that cost - $54.9 billion or more than 66%. Imagine how much we as a country could save, in lives and dollars, if we achieved health equity.